We are very busy at Imagination Crafts HQ! 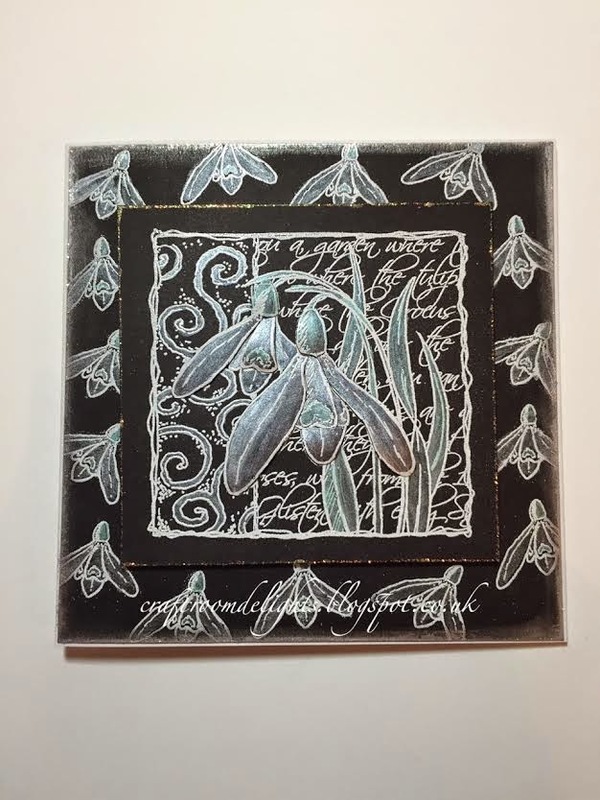 emboss with white embossing powder on black card. if you like wink of stella you will love these. 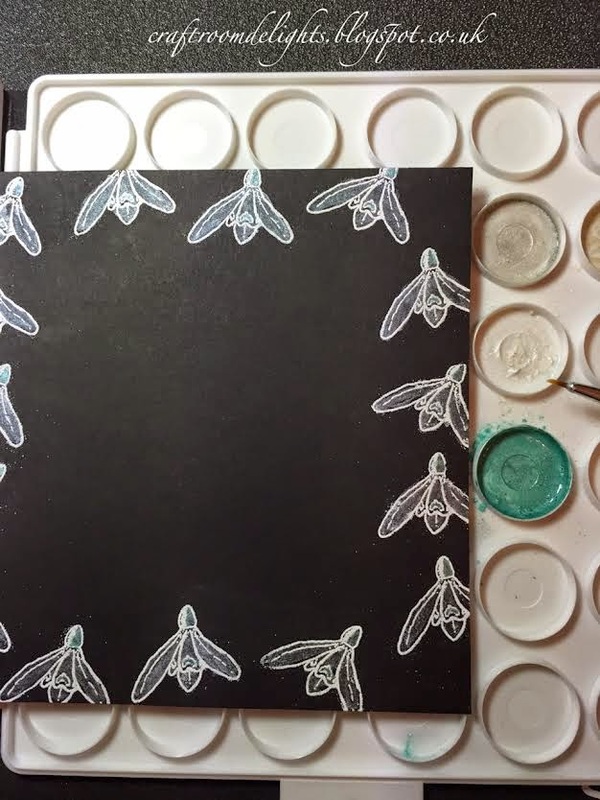 Mix a little medium and water to paint with them in a palette. 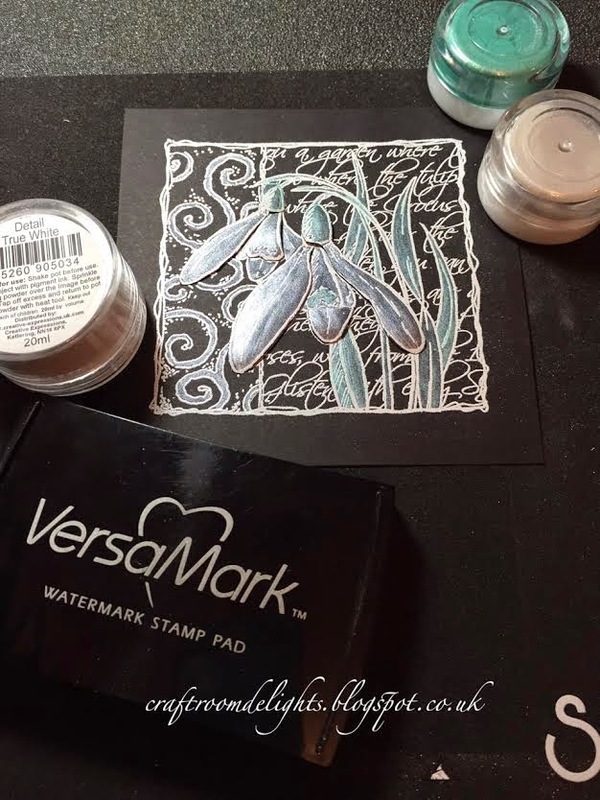 Stamped again, colour and cut out to decoupage the heads onto the main image. 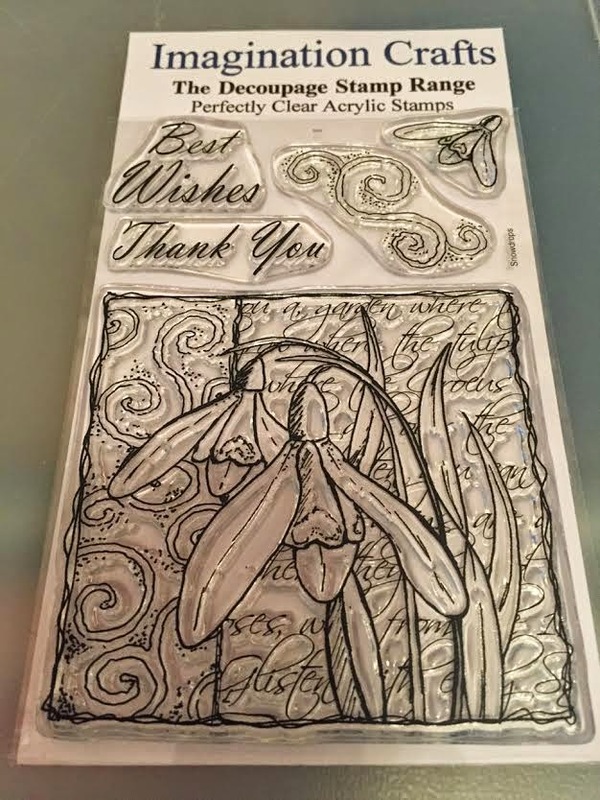 Stamp the snowdrop heads, colour the same as before then use silver gliding wax around the edge of the card. 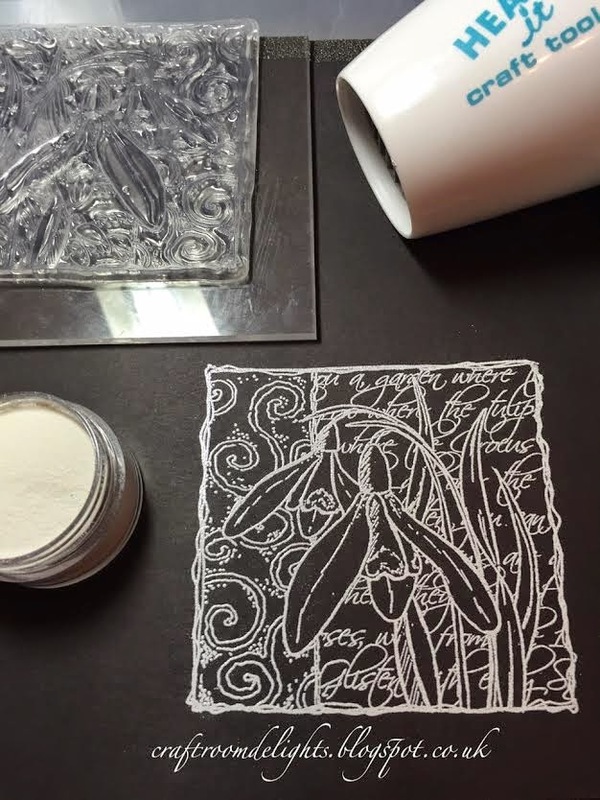 Matt the snowdrop heads onto the 6x6 card. 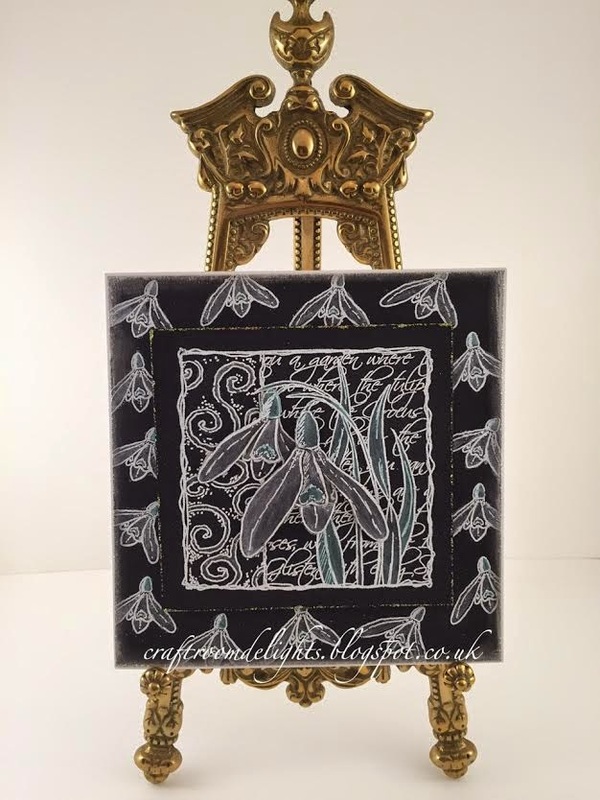 With 3d foam matt the snowdrop image. Then glitter glue around that edge. 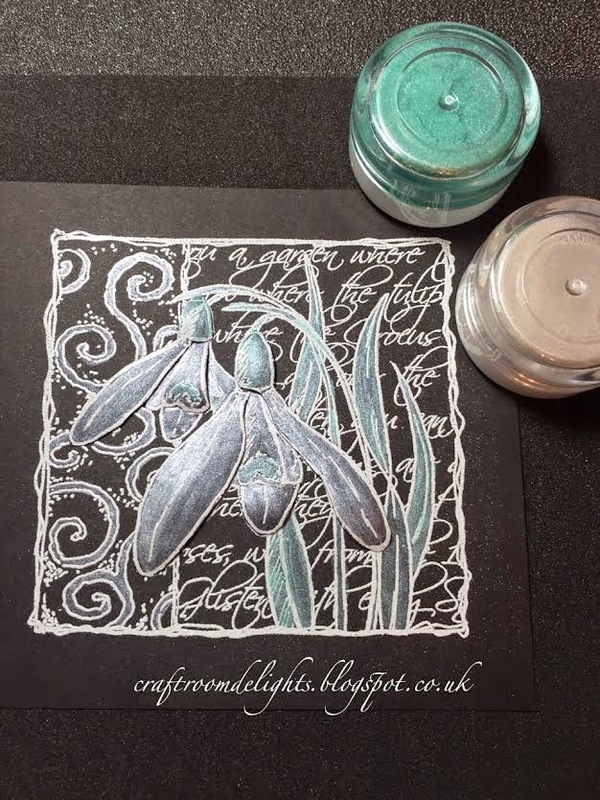 Hope you like the card and if you like snowdrops hop on over to the challenge blog to see how Samantha has used the same stamp in a different way.